Coolar has been nominated as one of six Start-up’s competing in the semi-finals of the StartGreen Award 2015. After being selected by an expert jury that screened more than 182 applicants. Who will advance to the final pitch competition is decided by an online public voting. If Coolar wins the prize, the money will be invested to initiate the field testing for the first Coolar refrigerators for medical cooling in off-grid regions. 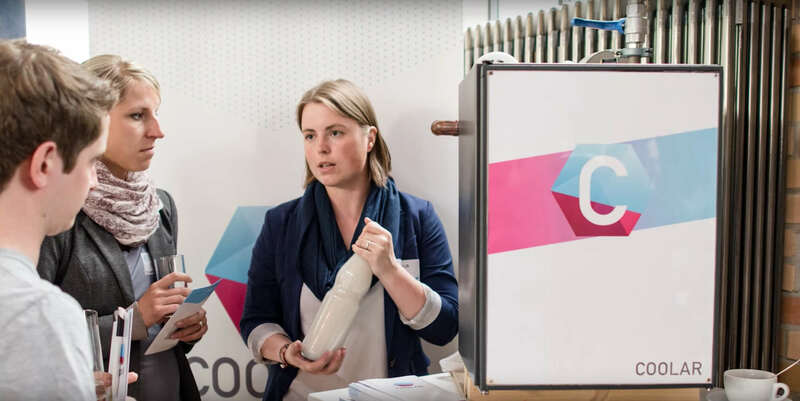 “I believe Coolar is an inspiring project, it’s potential impact on environmentally friendly cooling and health care in developing regions should motivate the audience to support us with their vote.” asserted Julia Römer, inventor and co-founder of Coolar. In order to convince the audience to support Coolar with their votes, the team worked with the Berlin based visual media agency I Like Visuals and produced a video.